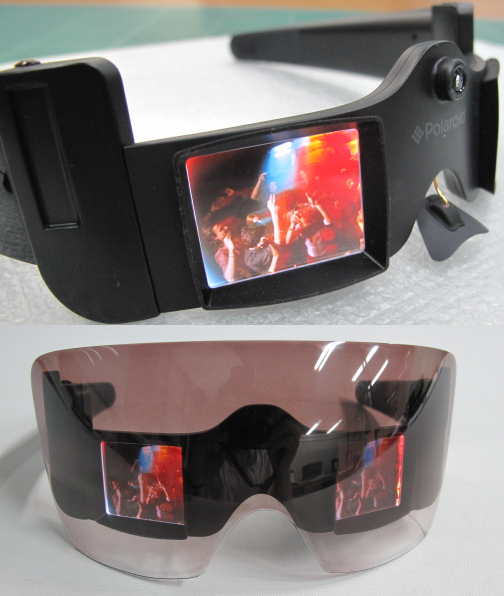 Polaroid creative director and pop-sensation Lady Gaga unveils camera sunglasses with embedded LCD displays. We’ve got an exclusive look at the prototype, and the true extent of her involvement in the project. Of the many labels pegged to Lady Gaga–pop star, fashion icon, provocateur–here’s one title you might not expect to see on her résumé: creative director at Polaroid. 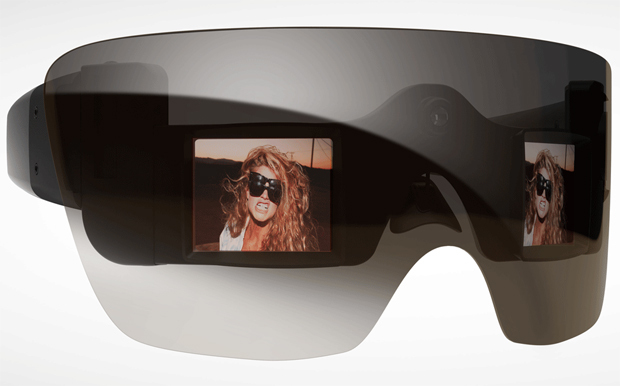 The “Bad Romance” superstar teamed with the camera and eyeware company this time last year, and at the Consumer Electronics Show on Thursday, we finally got to see the fruits of this unlikely collaboration. As part of a new suite of products called Grey Label, Gaga and Polaroid unveiled a digital camera with a throwback design and, most impressively, a set of camera sunglasses with two embedded 1.5″ LCD displays. 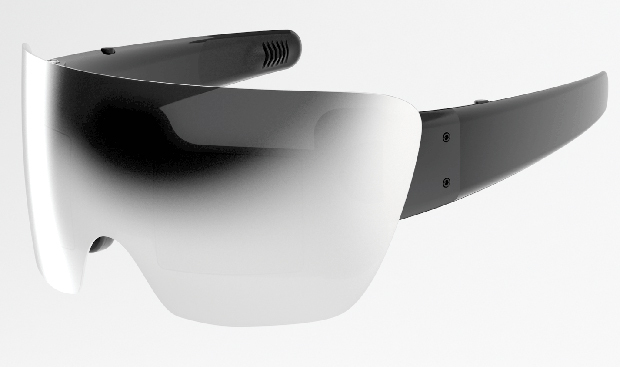 The glasses (pictured) act as a wearable camera, and can snap pictures, be pre-loaded with slideshows and video, and are meant to enable real-time photo sharing. To develop the products, Gaga worked closely with Polaroid and design firm Ammunition LLC, known for developing the popular Beats by Dr. Dre headphones. Here’s how that collaboration played out. The sunglasses are not the only product Gaga unveiled Thursday. 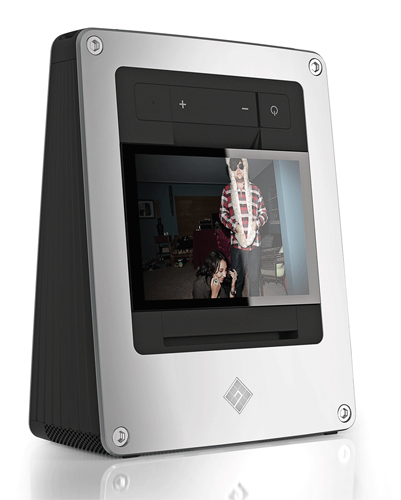 Also showcased as part of Grey Label was a new Polaroid camera that is a throwback to its iconic designs of yore–a camera that brings to mind a time before the company’s infamous failed transition to the digital age. With this latest round of products and branding from Lady Gaga, we’d say Polaroid is on its way to being The Fame Monster. 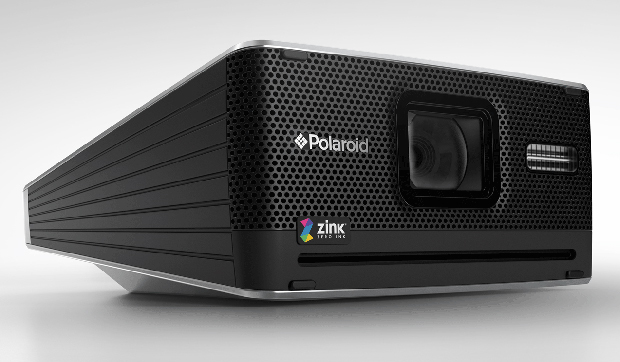 Flip through portraits of Polaroid’s past and future, from Edwin Land to Lady Gaga and beyond!